Re/Member is an art and music benefit show whose proceeds will go toward Puerto Rico and the surrounding areas as they recover from the devastating effects of this hurricane season. 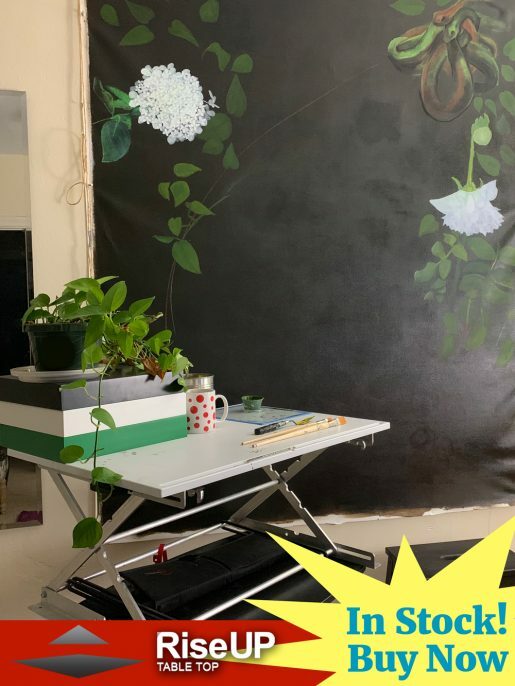 Re/Member consists of local artists including Aubrey Neher, Briana Nieves, Sophia Schultz, Onirologia, Sarah Viviana Valdez, and Ava Zelkowitz who utilize a variety of mediums such as sound, performance, installation, photography, and drawing. There will also be local art vendors where a portion of their proceeds are donated. Re/Member re-envisions the home and the body. The exhibiting artists share a common thread through the creative process as a way to understand the embodied self through the interconnectivity of identity and its surroundings. To be a body, and to be touched by one, is to be in a process of active inheritance, of making. How is a home built? How does one re/member belonging through the transmutational weaving of the self? How is the body brought back after emotional and physical displacement? “The corpse is not the body. Rather, the body is always in-the-making; it is always a vital entanglement of heterogeneous scales, times, and kinds of beings webbed into fleshy presence, always a becoming, always constituted in relating. The corpse’s consignment to the earth as ashes is, I think, a recognition that, in death, it is not simply the person or the soul who goes. That knotted thing we called the body has left; it is undone. My father is undone, and that is why I must re-member him. I and all those who lived entangled with him become his flesh; we are kin to the dead because their bodies have touched us”. Mutual Aid Disaster Relief is a grassroots network whose mission is to provide disaster relief based on the principles of solidarity, mutual aid, and autonomous direct action. 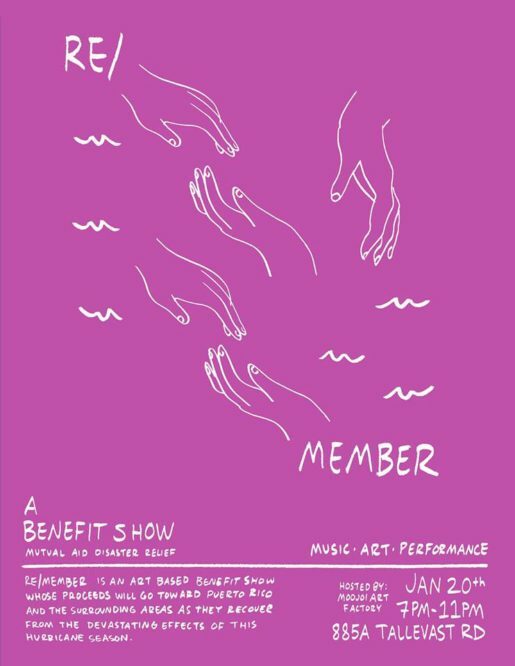 Proceeds from the Re/Member show will go towards Mutual Aid Disaster Relief’s ongoing efforts for Puerto Rico Rebuilds Campaign. They work towards establishing autonomous and sustainable infrastructure in the form of water purification systems and photovoltaic solar arrays in Puerto Rico and additional Caribbean countries affected by the recent hurricane season. This show is hosted by MooJoi Art Factory. For more information check out their website www.moojoi.com.